يقع شقق ويست إند سنترال في منطقة مشهورة للغاية في المدينة. هذا الفندق هو من الخيارات الشائع بين المسافرين. يجذب هذا الفندق ذو 4 نجوم، والذي يبعد 1.5 Km فقط عن وسط المدينة و 16.9 Km عن المطار، الكثير من الزوار سنوياً. يوجد العديد من المعالم السياحية الأكثر جذبًا للسياح في هذه المنطقة. استمتع بالخدمات الراقية والضيافة التي لا مثيل لها بهذا الفندق في هذه المدينة رائعة الجمال. تتضمن الميزات الرئيسية في هذا الفندق: واي فاي مجاني في جميع الغرف, خدمة التنظيف يوميًا, تخزين الأمتعة, واي فاي في المناطق العامة, موقف سيارات. بالإضافة لهذا، تتضمن كل غرف الضيوف مجموعة واسعة من وسائل الراحة . بعض الغرف توفر حتى تلفزيون بشاشة مسطحة, اتصال لاسلكي بالإنترنت, اتصال لاسلكي بشبكة الإنترنت (مجاني), سياسة التدخين - غرف لغير المدخنين متاحة, مكيف هواء لإرضاء أكثر الضيوف تطلبًا. يقدم الفندق مجموعة رائعة من الخدمات كمثل جاكوزي, مركز للياقة البدنية, ساونا, مسبح خارجي, سبا، لجعل إقامتك تجربة لا تنسى. يشكل شقق ويست إند سنترال بخدماته الراقية وموقعه الممتاز، قاعدة مثالية للاستمتاع بإقامتك في المدينة. If you want great customer service and a clean and comfy hotel, well stay here. Its not a new hotel though its clean, comfy beds, great customer service, parking and close to local restaurant's for breakfast, lunch and dinner. This is my "go to" rather than stay in the CBD. 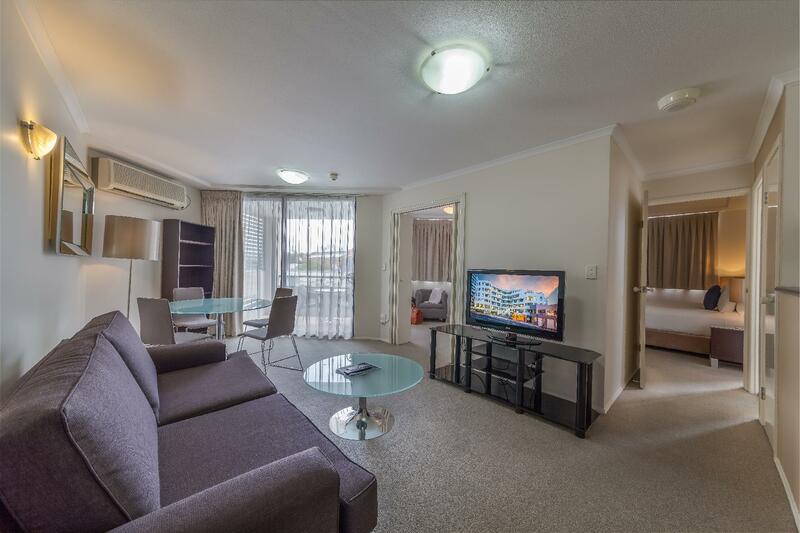 It is a great location and 10 minutes walk to CBD across the river. Good value. Super close to Southbank and West End and all the fabulous eateries. But you only have to go downstairs to Café 63 for a fabulous breakfast or across the street to West End Gardens for lunch/dinner and very lovely Chinese and Vietnamese cuisine. Staff are always friendly but the rooms, the design and fit out are becoming tired - the only drawback. Will be back! 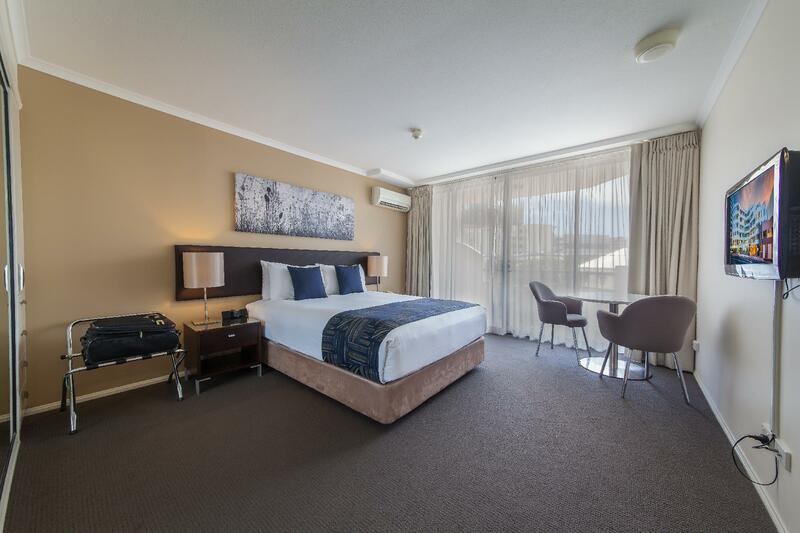 Acceptable quality room right in West End and close to Southbank. A little dated in design now but still comfortable and quiet. Parking included is nice. Great location and staff are wonderful though the rooms need an update ASAP and the lift needs an update too! This is my favourite place to stay in Brisbane for many reasons. 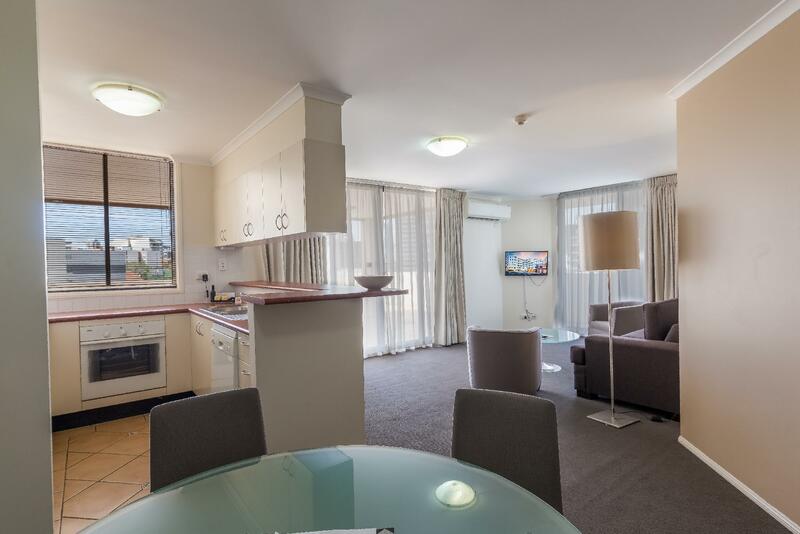 It is good value, big rooms, well positioned for appointments in West End or CBD or elsewhere, has secure parking, surrounded by great coffee shops and restaurants. I stay here for business and pleasure. But the fit out getting tired. Stained coffee cups, tea cups and crockery. Dirty cutlery. Enamel coming away from bathroom fittings. Clothes lines in bathroom seized. Flexible showers are not flexible and cannot be adjusted for height. Lifts are dodgy and hot (will have to use fire stairs next time). The irons spit brown and black stuff over clothes. It only needs an affordable makeover. That's all! Perhaps that's why its good value? Accommodation of room was good 2 bedroom. Well equipped kitchen. 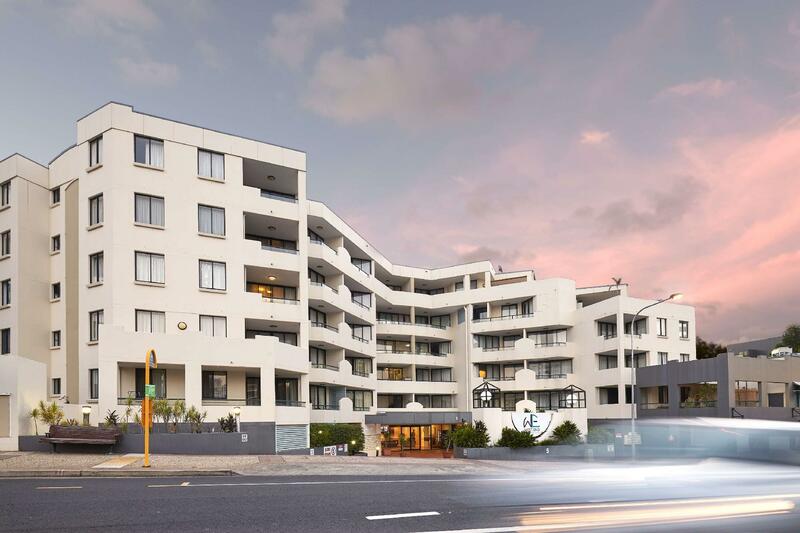 Location was great close to restaurants and shops - Coles was across the road and bottle shop. Southbank was a short 15 mins away. Very good location and accommodation would stay here again. Our stay here was fantastic. 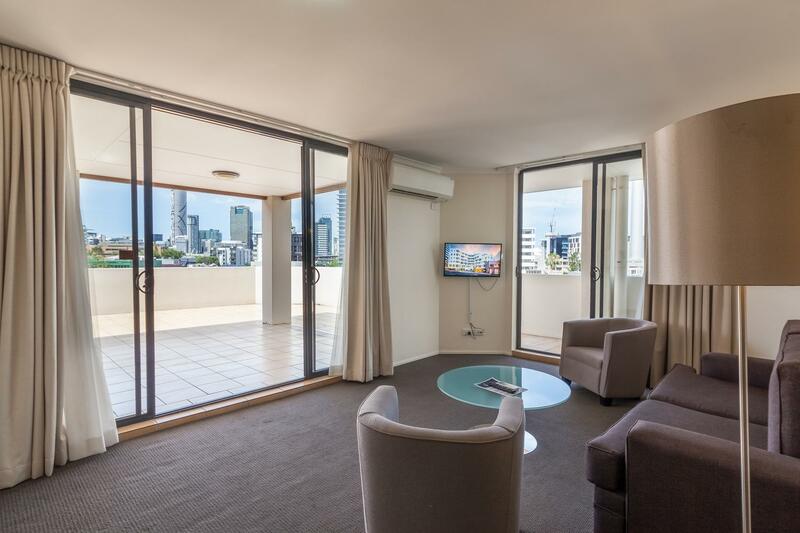 Great location, a walk to the city and Southbank. 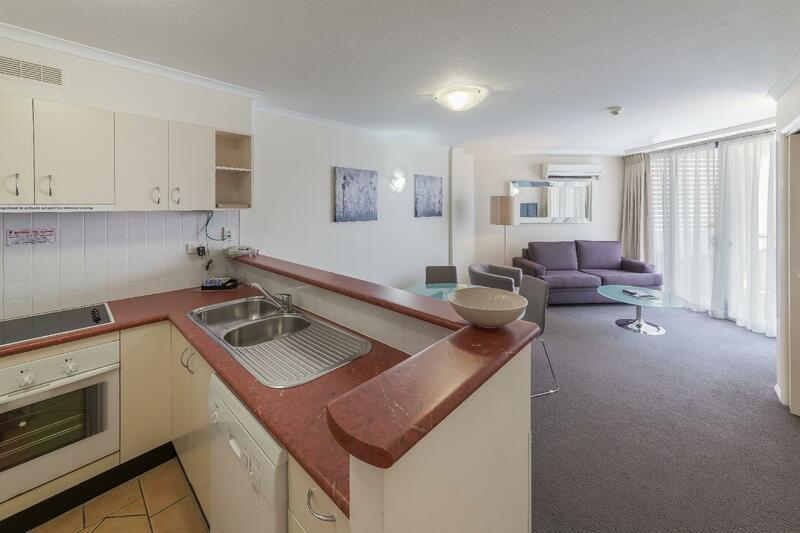 Our apartment was spacious and clean with a full functioning kitchen/laundry. Very clean and tidy. I was however disappointed with the front desk staff. Check in was very robotic, no pleasantries exchanged. Check out was even worse without a smile or thanks for staying, nothing yet around the hotel the staff were very friendly. This apartment is in such a great spot and I always find great specials on agoda for this hotel so I would definitely stay here again and I hope staff are more welcoming. We booked a 2 room apartment and it comes with a sofa bed at the dining area. This was good for our family size. The apt is near many eating places (lots of choice) and easy to stock up food for the road trip. (Woolsworth & Coles nearby) It is also within walking distance to the South bank river, Wheels, Museum and Library. Free parking was also provided at the basement. (Rmber to request from the reception for the code to enter the carpark) Overall stay was good. Apartment was very clean and tidy. Very close to shops and restaurant. I was impressed how every day we had clean towels and they tidied up. Parking was a bonus and free internet. I would definitely stay there again. We were taking our grandchildren to Aladdin so we were after somewhere close to the Lyric Theatre. This fitted the brief exactly. Close to plenty of restaurants and an easy walk to the show. Beds were comfortable and the unit clean. It’s an old apartment but room is clean.Good location with good price to stay.Staff are nice. Excellent location , helpful staff, good facilities. What more do you need? Unit great had everything we needed. Decor a little worn but didn't matter. Absolutely great location to cafes & restaurants, Southbank, the museums, train & bus station. Didn't get to use pool or other facilities but they looked good. Would definitely stay again. I love the room and location. The bed was very comfortable but no view outside of the balcony. Also because it's located surrounding by many restaurants so have oily smoking smell came in to the apartment if not close the balcony door. On arrival around 10:30am we were pleasantly surprised to be able to check in straight away, the room we were originally allocated wasn't ready so the reception staff found us a vacant room straight away, bonus points immediately! Rooms are older but clean and functional, we had a studio room, they're not huge but all we needed and balcony gives a bit of extra useful space. Shower had brilliant water pressure, almost like a massage, although being a shower-over-bath setup it's probably not ideal for those with dodgy knees!! Went out on Sunday and came back to find bed made, room tidied and fresh towels. Location is awesome for access to South Bank, the Convention centre & QPAC, Sth Brisbane rail station and the City Cats to go over to the CBD. Plenty of choices for eateries in the West End area within walking distance, Café 63 around corner is great value for money for meals, dinners are huge, best bargain was the fresh take away Bacon & Egg roll for $3.00 for a quick brekky. Yep, Three Dollars!! And their coffee is pretty awesome too. Coles supermarket a 50m walk, as is a bottle shop. Car parking secure and requires a PIN number for access, no extra charge which is good. The only downside to the weekend was the idiot inebriated kiwi abusing his partner in the hallway at some ridiculous hour on Sunday morning, but I suppose you can't screen your guests before taking a booking! We will stay here again next time we're in Brisbane.